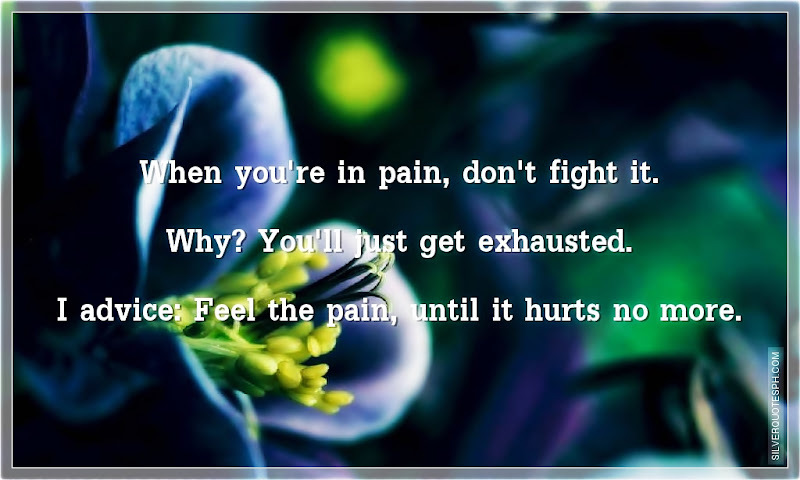 When you're in pain, don't fight it. Why? You'll just get exhausted. I advice: Feel the pain, until it hurts no more.